SAN FRANCISCO (AP) At some point, Giants manager Bruce Bochy plans to give Pablo Sandoval a day off. It’s just that Sandoval’s bat, coupled with a slew of injuries in San Francisco’s infield, is making it increasingly difficult to rest the portly third baseman. 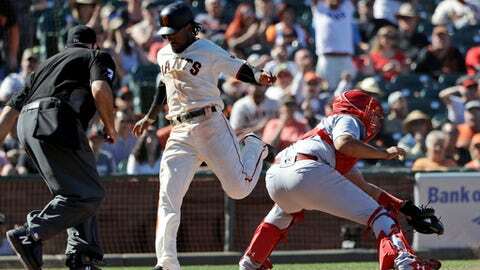 After Jose Martinez’s RBI single off Bumgarner in the fifth put St. Louis ahead 4-3, San Francisco rallied against reliever John Brebbia. ”(Brebbia) left it there right in the happy zone,” Sandoval said.